Happy Wednesday!! 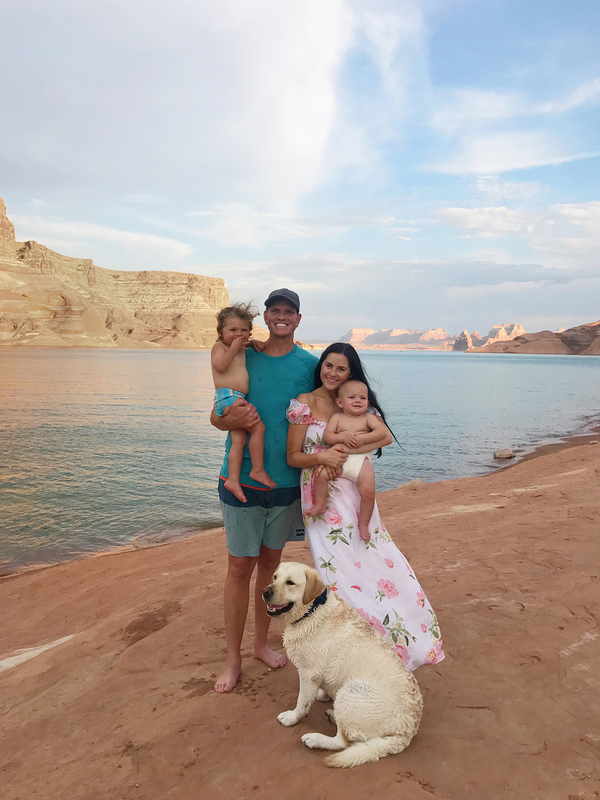 Last week while in Lake Powell I got A TON of questions about my swimsuits so I decided to share all the details in one post. Isn’t summertime just the best?! That’s a fun swimsuit with colorful stripes. Very summery. Your swimsuits are so cute!! I am so in love with the striped one piece!! Love those colors together ?? Such a cute roundup!!! Love all of the photos! That Pretty Plum Sugar dress is just stunning!! Legs for days girl!!! This makes me love my legs even more! This looked like such a fun vacation! I love lake style because it is so casual and so quintessentially summer to me! The shorts with swimsuits are just an absolute must. Such cute summer swim style! great looks! It looks like it was such a fun family trip!!!!! Ya’ll are such a cute family! I love all your swimsuits! You look amazing girl! Love the floral maxi dress the best! enjoyed looking at all your lake life photos. The striped swimsuit is super cute! This looks like so much fun! Love all your looks especially the one piece stripe swim suit! 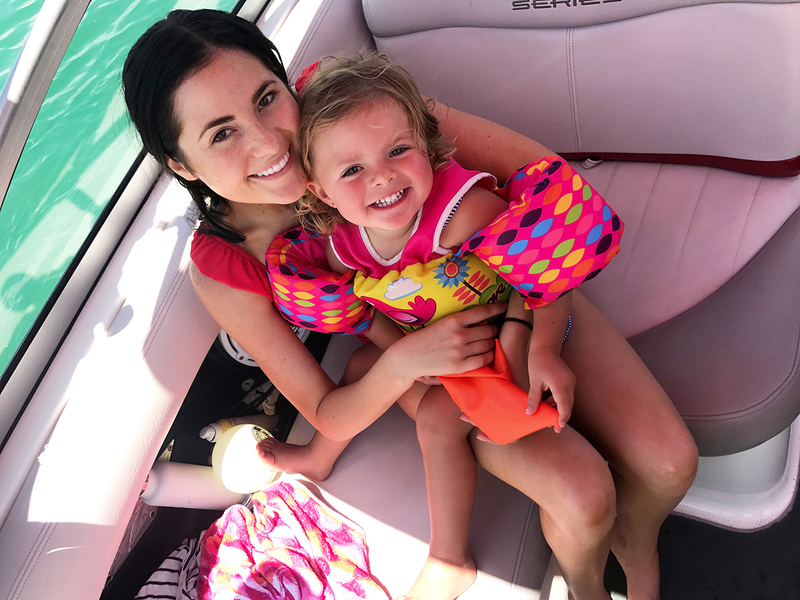 The pic of you and your daughter on the boat is just the cutest! I love all your swimsuit choices. That Lake has to be the most beautiful I’ve ever seen! I love that white one piece! Such beautiful pictures! I LOVE the white bathing suit, so cute!! Everything looks very nice, both swimsuit and flower dress. Summer should always be. 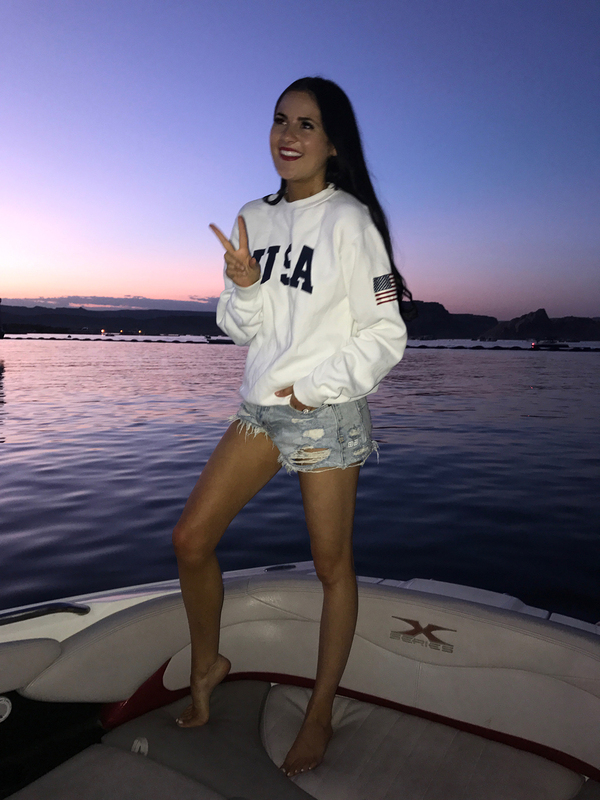 Loved all these looks from your trip to the lake! Wow! Your family is beautiful and you look like you had so much fun! Love this post!